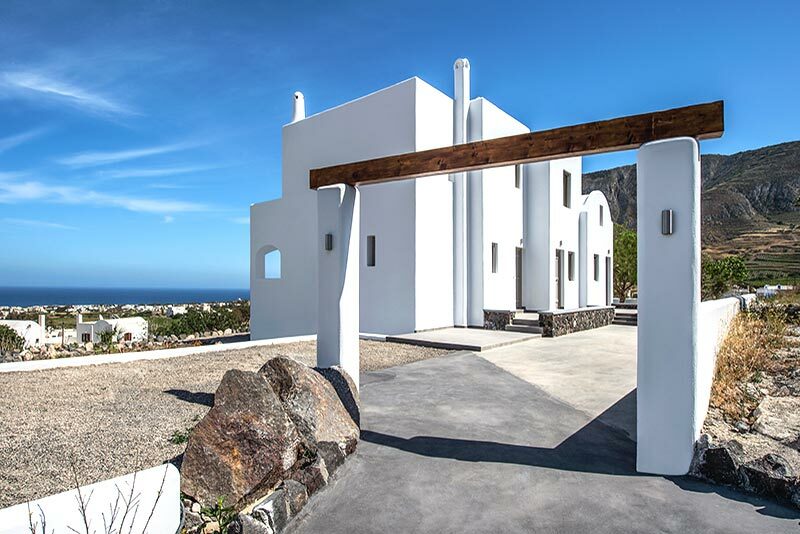 Gonia Residence is a complex of 2 Villas located next to Pyrgos village, 300 m from Art Space Santorini. 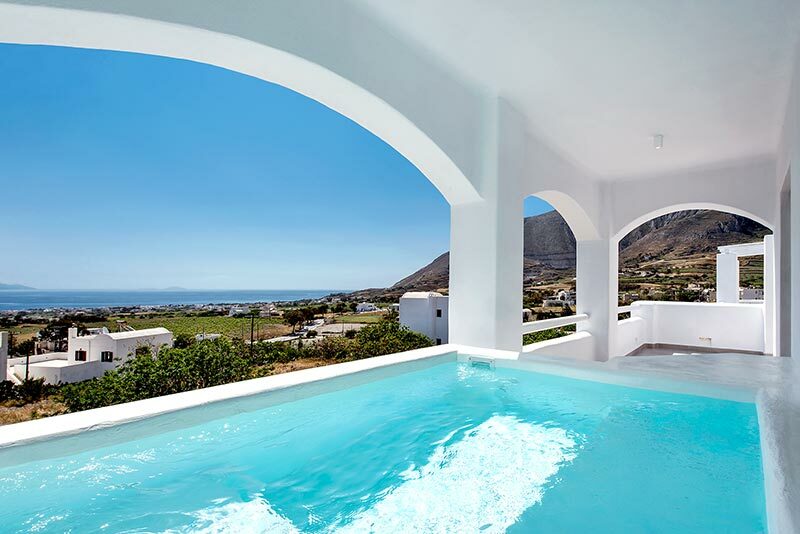 The two villas feature 2 or 3 bedrooms and can accommodate 4 or 6 Guests respectively. Both villas are equipped with all modern amenities and offer veranda or terrace with outdoor jacuzzi, sun beds and sea view. 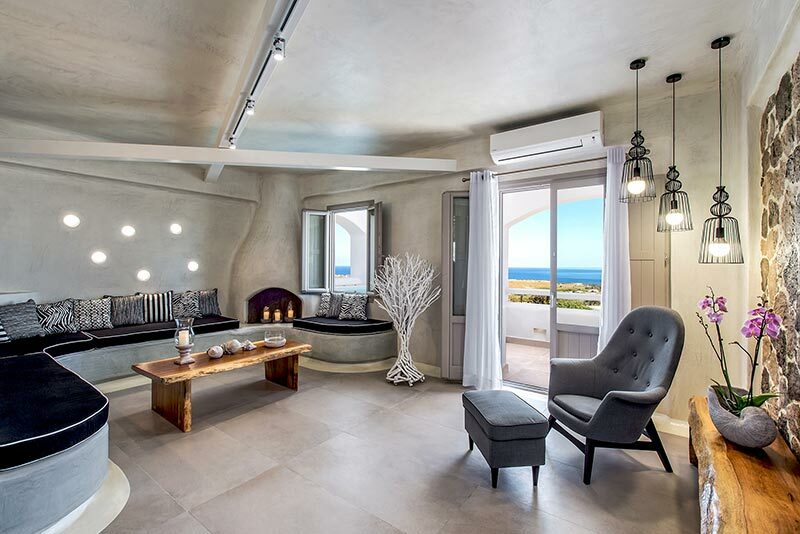 The privileged location of Gonia Residence offers the opportunity to spend your Santorini holiday in a relaxing atmosphere away from mass tourism but with easy access to Fira, the vivid capital of Santorini, and to the popular black sand beach of Kamari.